Rosalie, originally uploaded by simplyangelic2010. 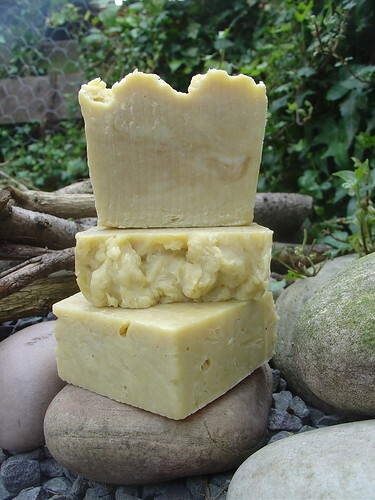 This is an everyday shampoo bar made with my usual blend of olive oil, walnut and coconut oils, with added sunflower oil and a dash of honey. Scented with bergamot, palmarosa and an hint of Ylang. Again, made using the hot process method. mm this is my type of shampoo bar!